For highly tactile applications that demand dexterity, sensitivity and mechanical protection, there aren't many gloves that perform better than the Portwest Dexti-Grip Black Nitrile Foam Gloves A320BK. 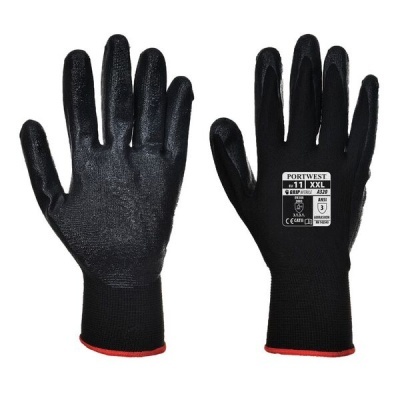 Their grippy nitrile foam coating offers enhanced grip, while the breathable and ergonomic design means that the user remains comfortable as their chances of developing hand fatigue are reduced. The Portwest Dexti-Grip Gloves are available in five sizes that should suit the hands of most users. Please measure the circumference of your hand around the knuckles (excluding the thumb) with your hand open and your fingers together, and the length of your hand from the tip of your middle finger to your wrist.